This Museum Showcase Features a Lock and Key Security System for Operating the Hydraulic Lift Top! 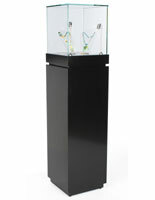 This Glass Cabinet Is a Case that Includes Lighting for Attracting Patrons! This Museum Showcase Is a Popular Choice! LED lighting illuminates entire case. 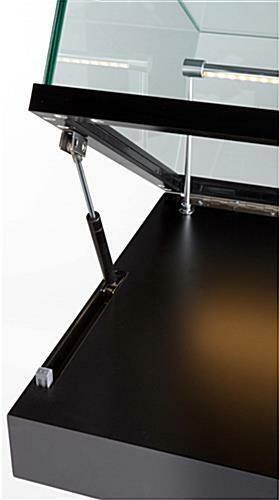 Tempered glass top uses hydraulic lift for opening assistance. This museum showcase serves as a wonderful addition within almost any retail stop. 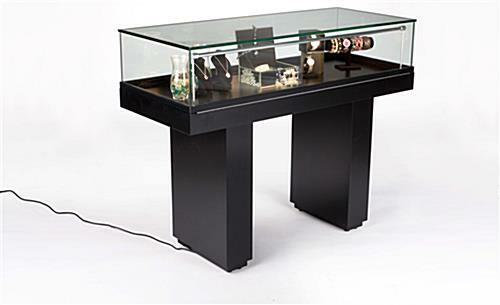 The display case will prominently present the most attractive pieces within the cabinet that includes a hydraulic lift system. 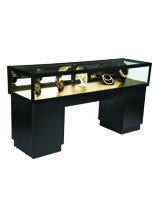 This museum showcase features the attractive semi-gloss black finishing that coordinates with most decors. Every stand comes with lighting systems that radiate out from the silver front banister on the display. 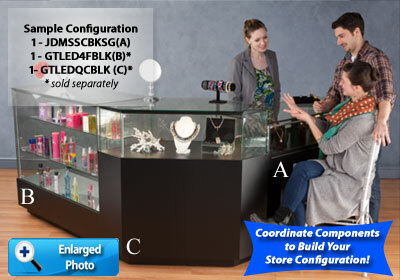 This museum showcase which is attractive will brighten all the goods and offers many great features that halogen cannot. The LED lighting will last five times longer and saves money when it comes to electrical bills. This museum showcase with a sleek design, similar to the freestanding cabinet, offer many characteristics that will help generate buzz concerning the contents. The museum showcase looks great in exhibitions and galleries, but functions well in many other contexts. This museum showcase has a design for sitting that customers can sit down at while they analyze the contents. 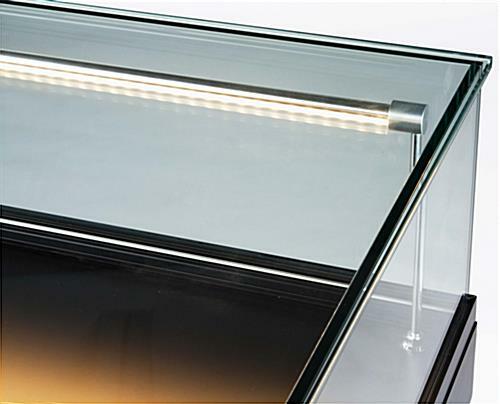 The tempered glass lid can be opened with the provided key and comes with hydraulic lift for easy access. These museum showcase which features the hydraulic lift stay locked until the provided key is turned. The attractive exterior of this unit will coordinate well with all sorts of furniture, including other models from the Grace Tyler line. 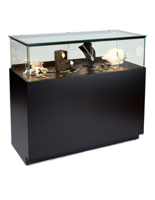 This artwork cabinet, museum showcase, helps make a custom layout for customers to enjoy. 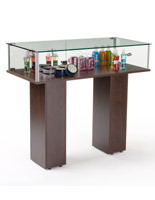 The combination of the black MDF wood base and transparent tempered glass works well in many locations. 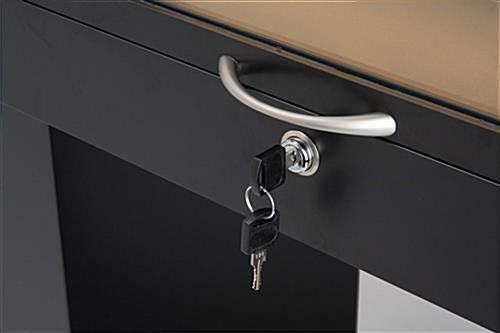 Please Notice: This case uses keys for opening the lock, and locks immediately after shutting. 51.0" x 44.0" x 24.0"
46.5" x 8.9" x 19.0"